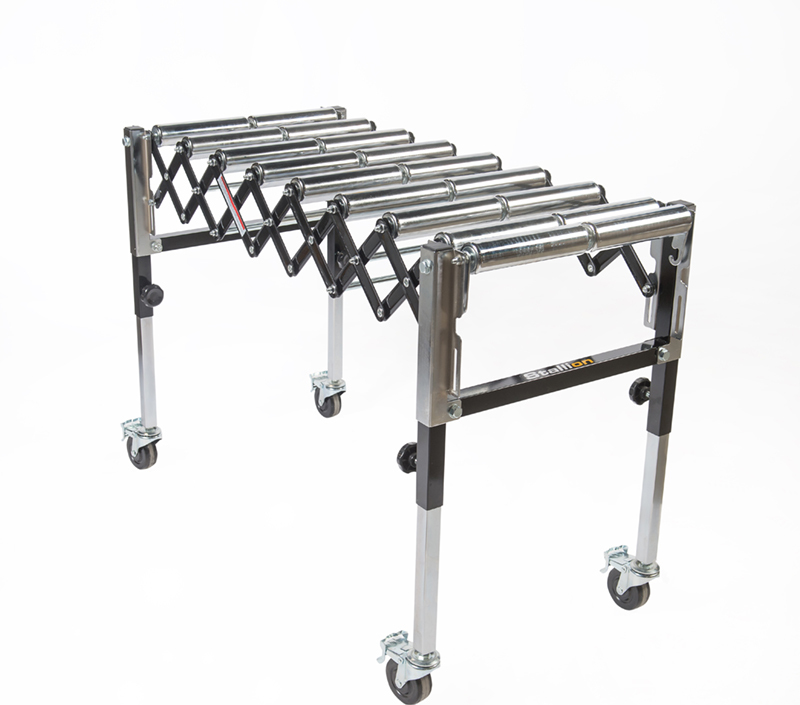 The CWI-MB167S flexible mobile roller stand is a very rugged helpful hand in any work shop. There are 9 nickel plated 2.25” diameter rollers which are actually in two separate sections to allow smooth feeding of the workpiece without pulling or pushing the workpiece in a certain direction. 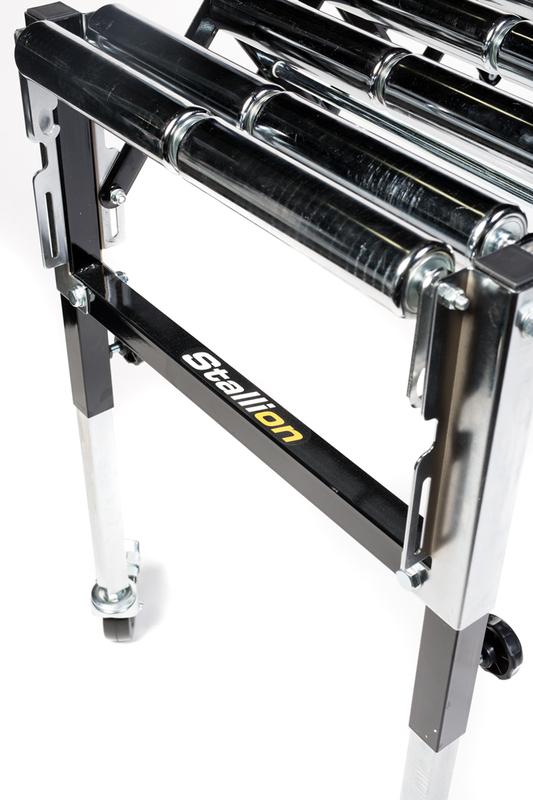 The dual rollers allow for more deviations in the direction but still in a stable movement. 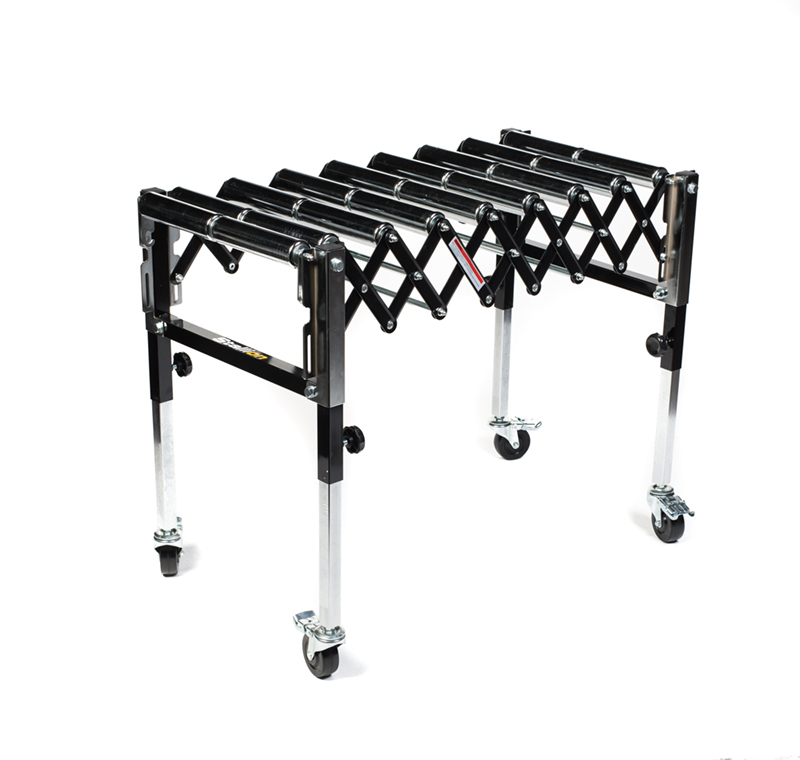 There are four 4” diameter heavy duty locking wheels to hold the roller stand in place while work can pass along the rollers at a working height of between 24” and 37” from the floor. Whether being used with a table saw, jointer or planer, or any other spot where some extra support is needed the MB167S is a great addition to the shop. The ability to “accordion” to a length of between 21” and just over 50” in length provides extreme flexibility and even the ability to provide a curved work flow. 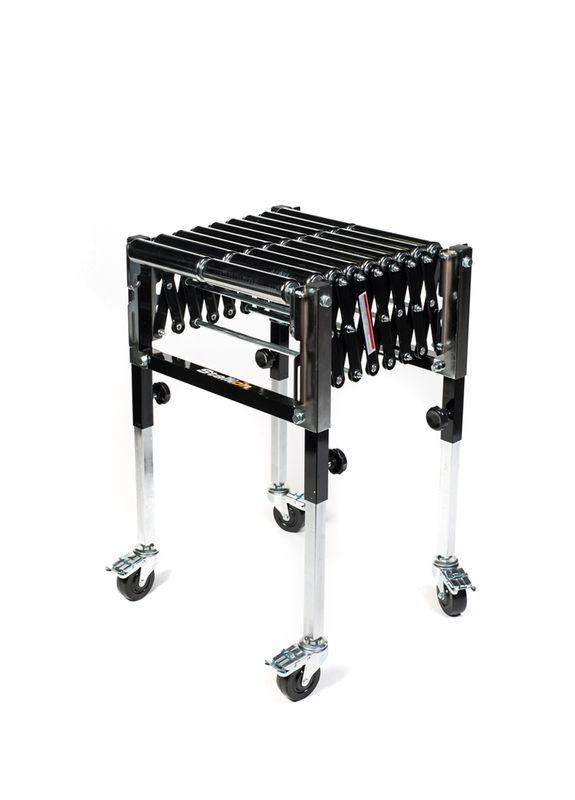 The stand will hold up to an amazing 400 lb load at any given time but the stand itself weighs in at 95 lbs. Adjustable height from 24 1/4” to 37”. 9 nickel-plated 2-way rollers 2 1/4” x 20”. 4” wheels with locking foot levers. Maximum load capacity of 400 lbs.